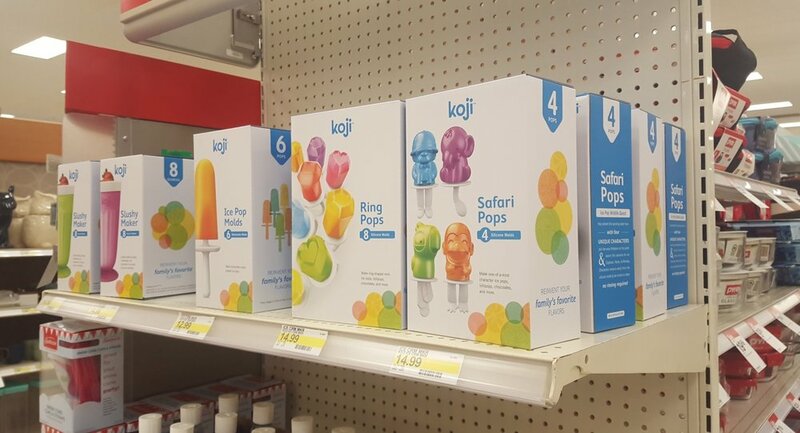 Exclusively sold in Target domestically, Koji was designed and implemented from start to finish by myself and a senior designer. We started by developing the name Koji, meaning little one in Japanese. The logo, brand standards, and a packaging system were developed by myself and the team. The Koji logo was developed to compliment the fun, interactive houseware products. Koji meaning little one in Japanese is reflected in the taller j tittle and shorter i tittle representing the adult and child interacting with the products together creating new memories. Kojicool.com was created based off the brand standards first starting with site mapping and the user's experience. The responsive website, including the function, was design and art directed in-house. All photography was art directed and edited in-house. Designed and implemented packaging system with senior designer from scratch based on Koji brand standards. I designed layouts, photoshopped renderings, set up final production artwork for print, illustrated, wrote copy, communicated with overseas printer, and vectorized instruction manuals.